According to the football transfer rumours in German Media, West Bromwich Albion are tipped to sign Mainz striker Jhon Cordoba. The Colombia international has joined Mainz from Granada for a fee in the region of 6.5 million euros in July 2016. The 24-year-old has a valid contract with Mainz until June 2020. Since his arrival from Granada, Jhon Cordoba has scored 13 goals and provided seven assists in 59 games for Mainz, including eight goals and provided five assists in 37 games in all competitions this season. The 24-year-old is considered to be one of the best strikers in Colombia. The Colombia international has been in outstanding form for Mainz this season. Jhon Cordoba has represented Colombia at Under-20 level, winning 11 caps and scoring six goals. The 24-year-old is thought to perfectly fit the profile of attacking player Tony Pulis wants to target in the summer transfer window. Tony Pulis will reportedly be handed a huge transfer kitty this summer and the Mainz striker is thought to be among the manager’s priorities. 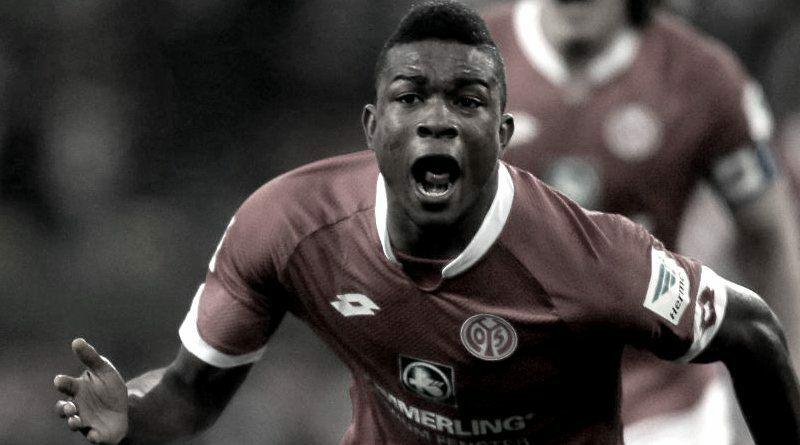 Euro Football Rumours understood that Mainz valuate their striker Jhon Cordoba in the region of 10 million euros. How strong that interest is and whether West Bromwich Albion will make a summer move remains to be seen but it is certainly one worth keeping an eye on.